Ladies, what better way to start off your fun-filled Sport + Spirit for Her women's retreat weekend then with the hilarious comedic entertainment of Irish comedian Fiona O’Brien. Fiona will be starting off our Friday evening social with her no restraint humour that can only come from an Irish momma, ex wife, somewhat sommelier, shepherd pie maker and all around grand gal. After Emigrating from Ireland to Canada in 2012, Fiona began (in her words) “her quest to stamp out the racism that the Irish face…one Lucky Charm at a time”. Her success quickly followed after she graduated from The Second City Stand Up course and established herself on the comedy circuit by winning over her audiences. She was a two-time semi finalist in the Absolute Comedy ‘Prove You're a Comic’ competition, a finalist in the Toronto Comedy Brawl, a finalist in The 'Rising Stars Competition' at The Brantford Comedy Festival. As a two time Tournament Champion at Flat Tire Comedy, Fiona says she is now now banned from entering this year due to complaints by other jealous comics. You know you have made it when! Her comedic talent has also been showcased at Toronto's SheDot festival & Kingston Comedy Festival, headlined at Yuk Yuks and featured on CBC's Laugh Out Loud with Ali Hassan. 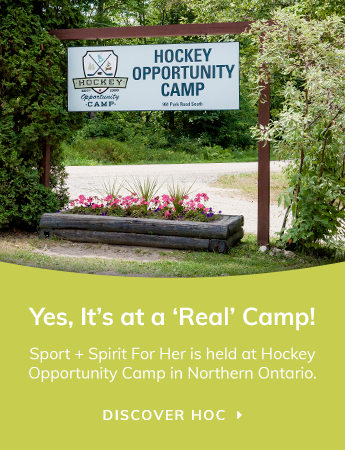 Laughing is the best medicine for wellness, so that is why I'm so excited to have Fiona O'Brien joining us at our first annual Sport + Spirit for Her women's retreat in Ontario cottage country!